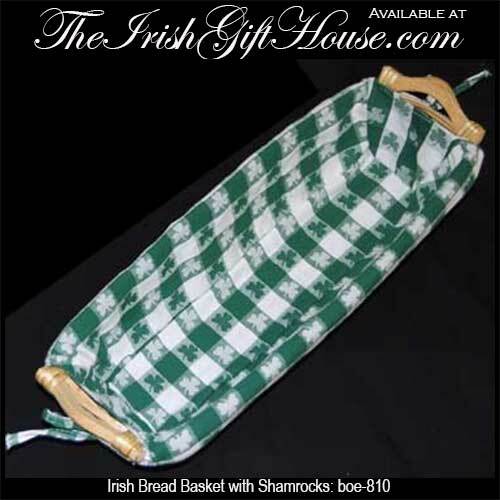 This Irish bread basket features a cloth liner that is enhanced with shamrocks. This Irish bread basket is made of wicker and it features a green and white checker cloth liner that is enhanced with shamrocks. The shamrock bread basket measures 6" wide x 20" long x 4" deep and includes wooden handles. The Irish basket is complete with a shamrock history card that is complements of The Irish Gift House.